Two recent cases of food fraud and illegal meat supply have emphasised the importance of knowing who your suppliers are and that they are trustworthy. The first case was led by Leicester City EHOs where they investigated an operation selling boneless turkey thigh as Halal lamb. 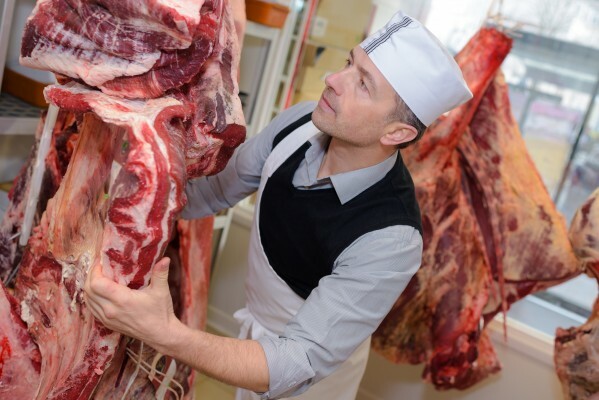 Two people were found guilty of conspiracy to commit fraud, having sold the mis-described meat to butchers and restaurants throughout the East Midlands, Middlesborough and Portsmouth. It was estimated that around 116 tonnes of fake lamb were sold making between £300,000 and £400,000 from the fraud. The owner was found guilty of a number of offences including selling food not of the nature, quality and substance demanded and displaying food exposed for sale but labelled wrongly, Sentencing is due to take place on 11 April at Leicester Crown Court. The second case involved a Forest of Dean butcher who was prosecuted for serious food hygiene offences. David Ian Tomlins, former food business operator of The Country Butcher, Huntley, was found to have illegally sold hundreds of thousands of pounds worth of meat to London restaurants. The butcher was selling the meat without the required FSA authority. Mr Tomlins pleaded guilty at Cheltenham Magistrates Court to a number of charges including failing to keep his premises clean, failing to comply with an improvement notice from hygiene inspectors and also to two offences of selling meat and meat products to pubs and restaurants in London without FSA authority. He was fined £24K and ordered to pay costs of £30K. The judge commented that the hygiene conditions at the business were “truly shocking” however the sales of meat to London restaurants without FSA approval was the more serious offence. He concluded that Mr Tomlins’ deliberately withheld information about his business as he knew he would never get FSA approval. Checking out your suppliers is an important part of a food businesses due diligence. Products of animal origin must always have a Premises approval number on them and this can be checked on the FSA website. Safer Food Scores can also assist with supplier quality assurance assessments and supplier visits.